I planned to make a little scene involving Black Cat (BC) and Jackpot. I'm happy with the BC sculpt and is now hard at work in sculpting Jackpot. 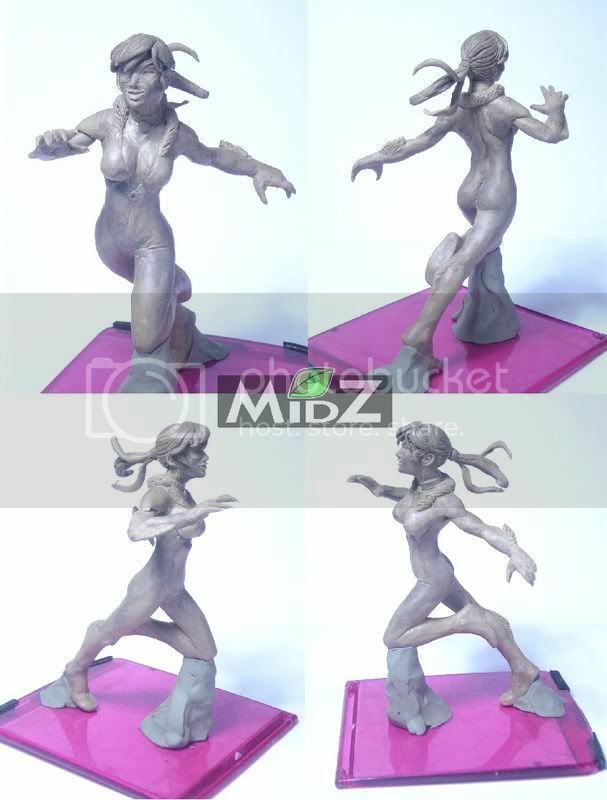 She's about the same scale as BC and sculpted from the same material. Here's a picture of the current progress on Jackpot. Still a lots to do. I know the face is horrible right now. C&C are always welcomed. More soon. Thanks for visiting! I've lengthen the legs and further tone her body. I've also add more hair to the pony tail. Does anyone know how to smooth and polish soft wax? If you do, just give me a shout! I'm getting close to finishing this piece. The details and smoothing comes next. More soon!